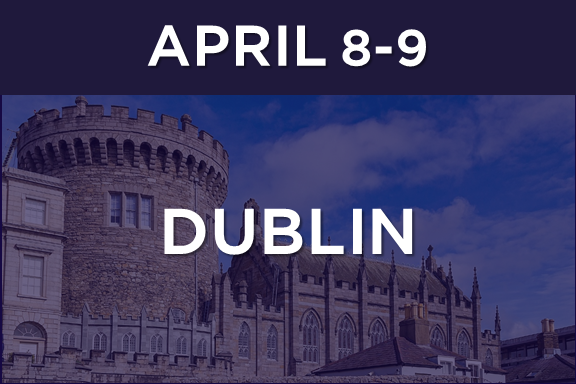 On April 8 & 9, MedTech Innovator hosts its Dublin Pitch Event & Stage Competition in collaboration with the MedTech Strategist Innovation Summit 2019. On April 8, pre-selected medical device, digital health, or diagnostic companies will pitch at the Royal College of Surgeons to a judging panel consisting of investors, providers, and senior executives from medtech companies such as Johnson & Johnson, BD, Baxter, and others. The judges will select 5 companies to compete on stage the following day (April 9) at the Shelbourne Hotel, and the conference audience will select a winner. Additionally, this event serves as a critical step in selecting participants for the MedTech Innovator 2019 program. Learn more and register for the MedTech Strategist Innovation Summit here.